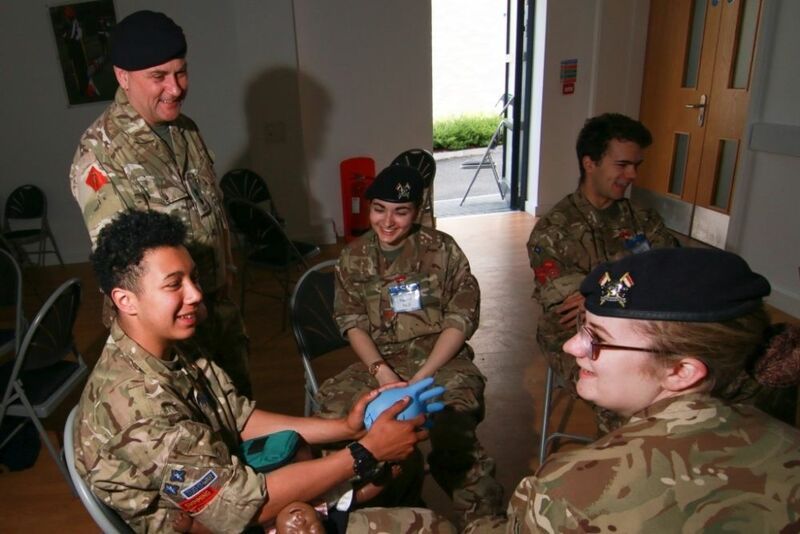 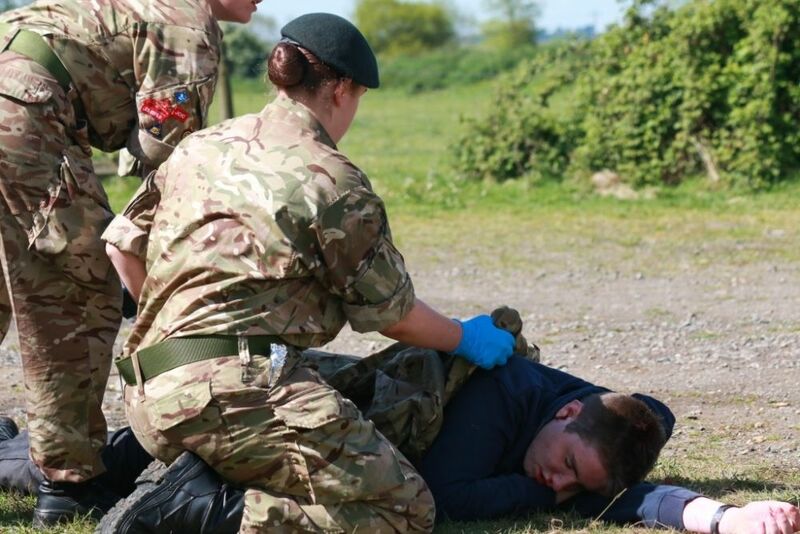 The ACF’s First Aid Skills were put to the test last weekend as teams from nine counties from across the East Midlands and the East of England came together to take part in the 7th Infantry Brigade First Aid Competition held at Cadet Training Centre Yardley Chase. 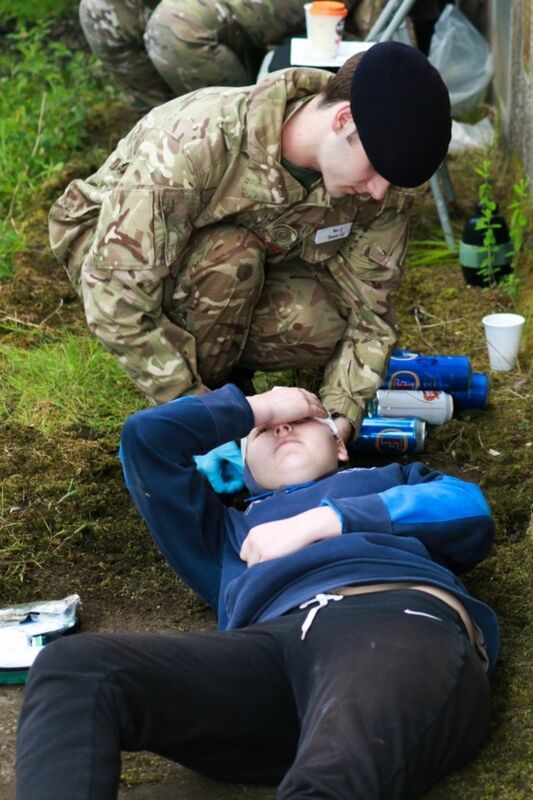 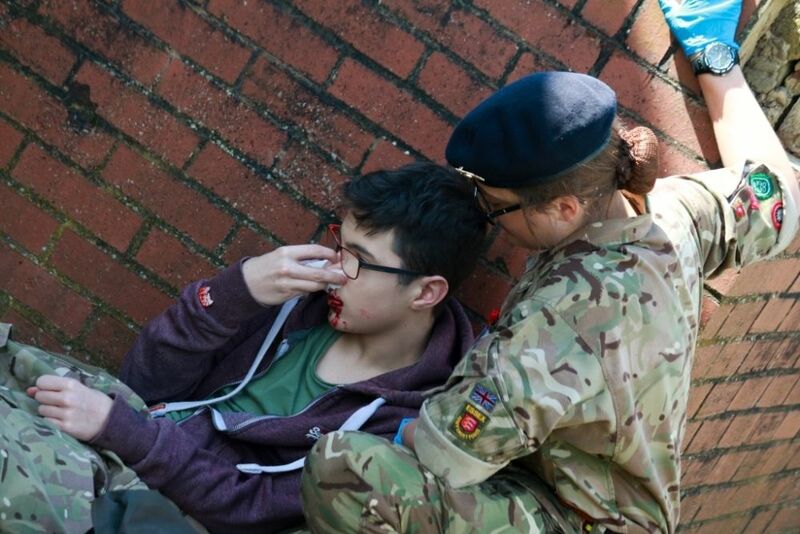 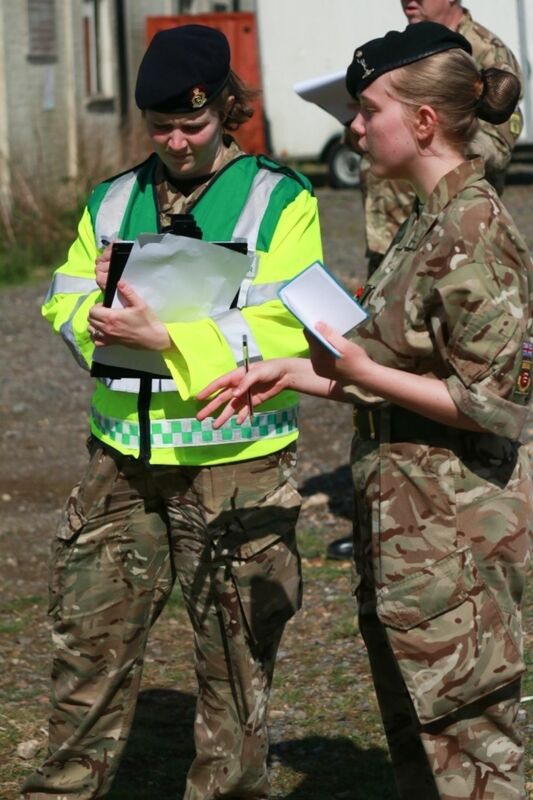 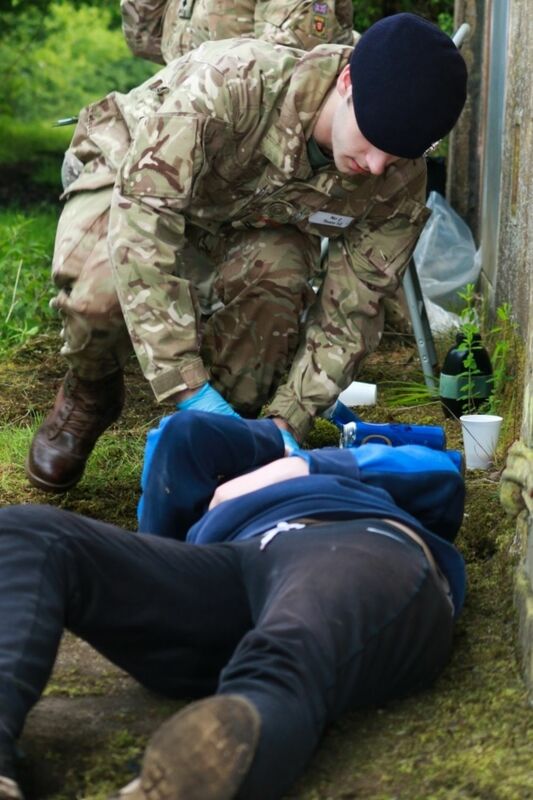 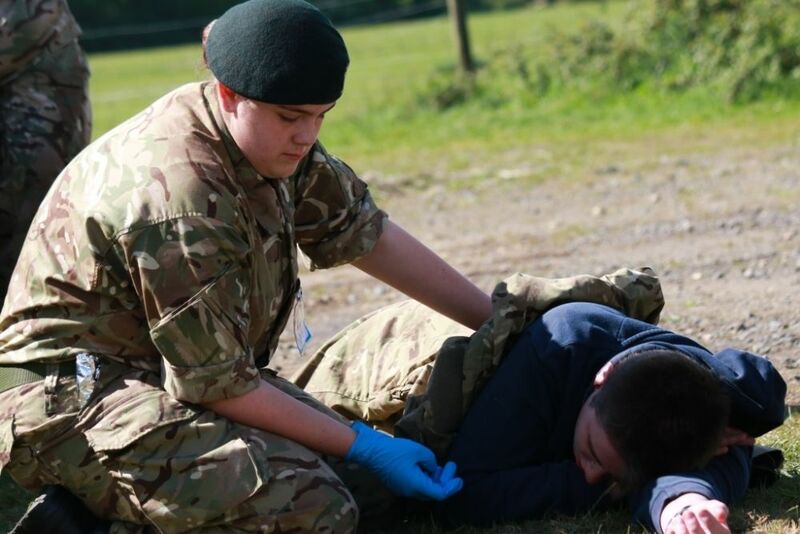 In total, 16 cadet teams and two young adult teams (18 to 25 year) from the nine counties were put through realistic and challenging first aid scenarios, where volunteer casualties from LNR ACF were given simulated wounds and acted as injured people and bystanders. 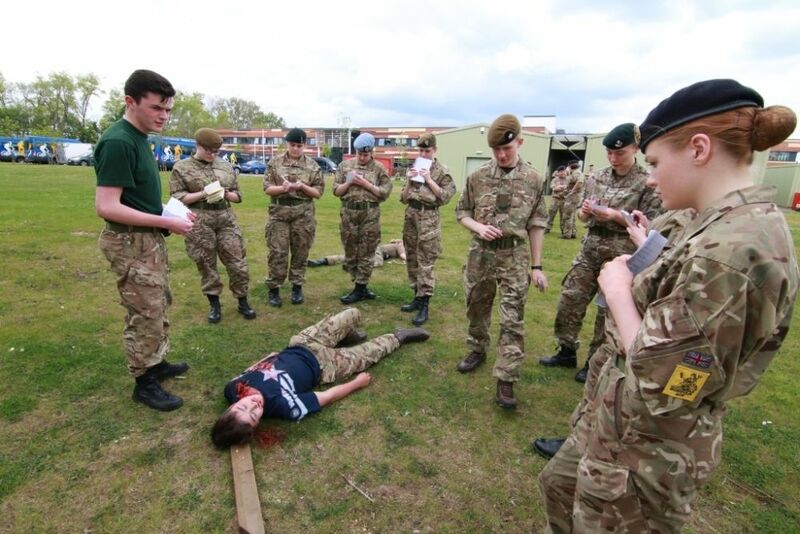 From fractured collar bones to nose bleeds, cuts to the forehead to spinal injuries, the cadets were assessed working both as a team of four (to deal with multiple casualties) and as individuals dealing with a casualty and engaging with bystanders for assistance, demonstrating a high level of first aid skills that could save someone’s life, if used for real. 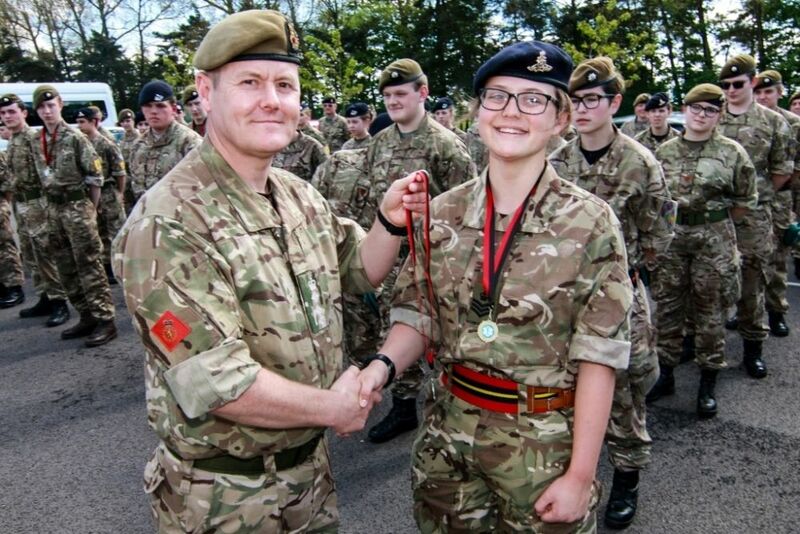 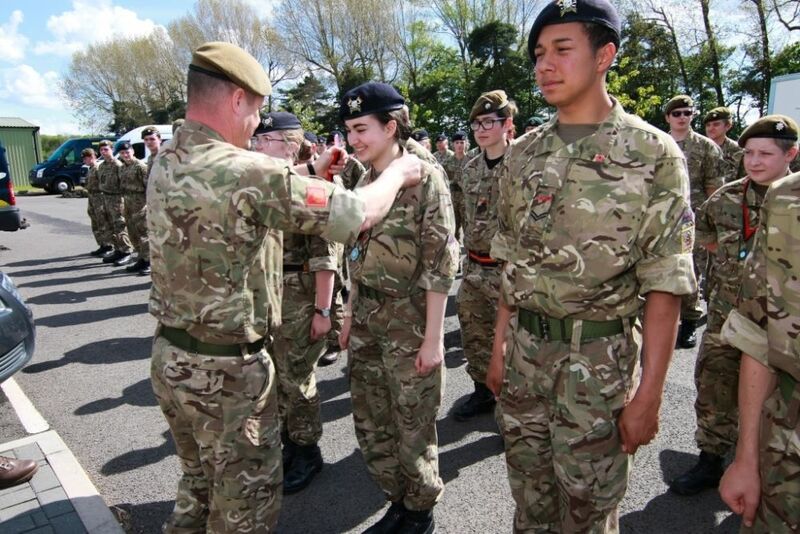 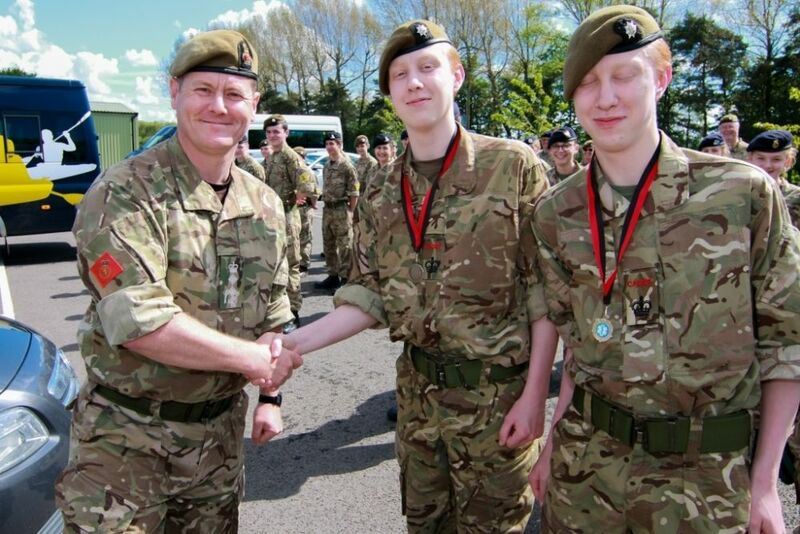 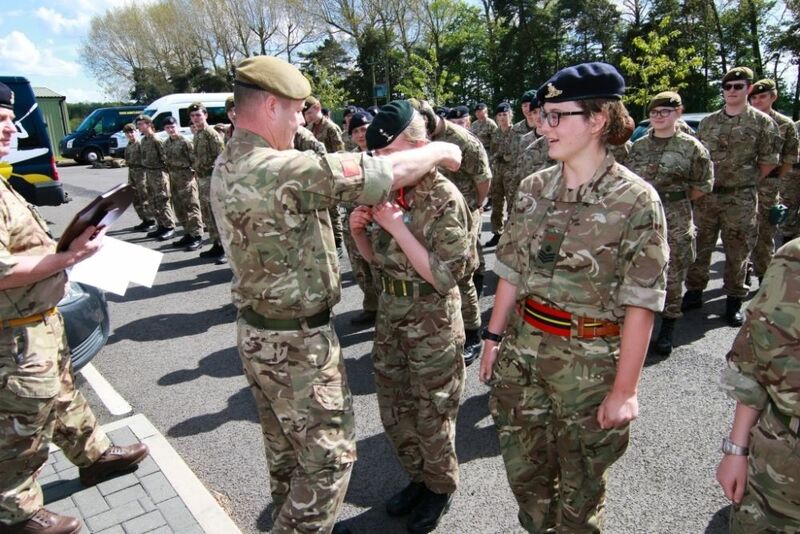 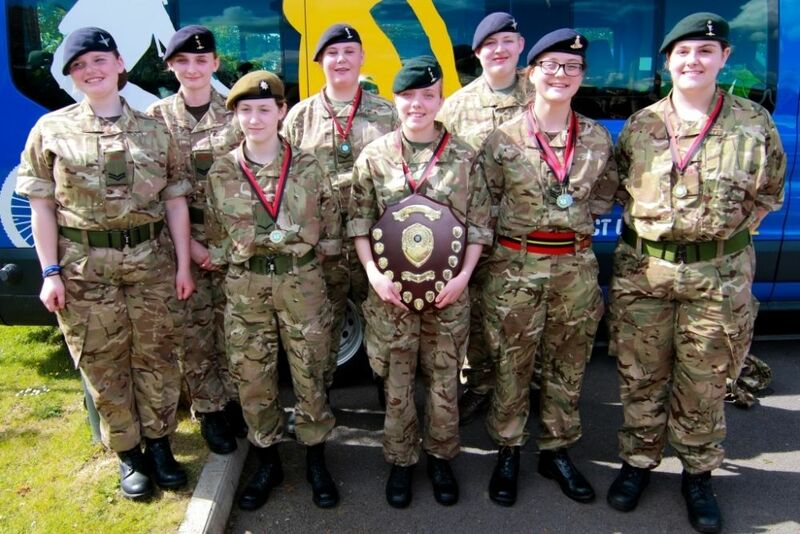 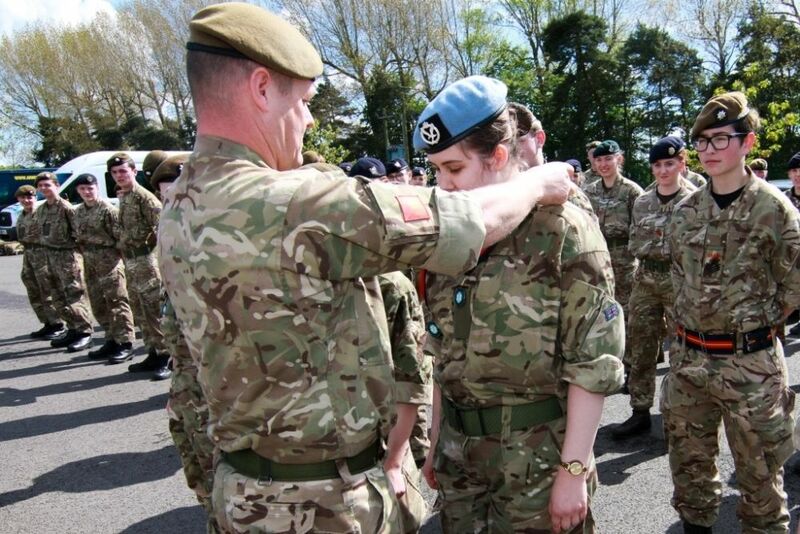 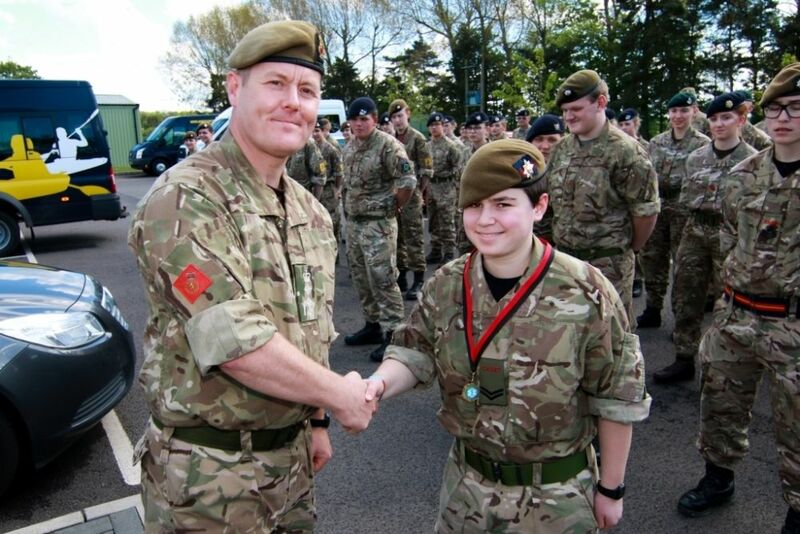 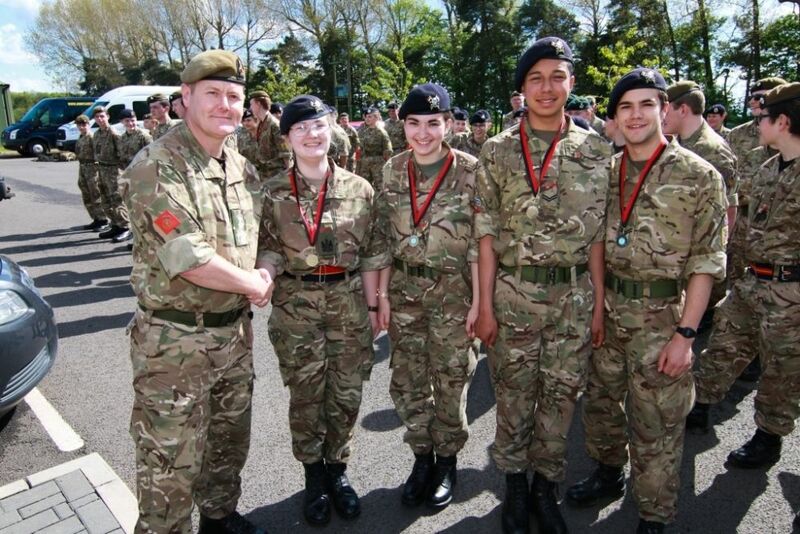 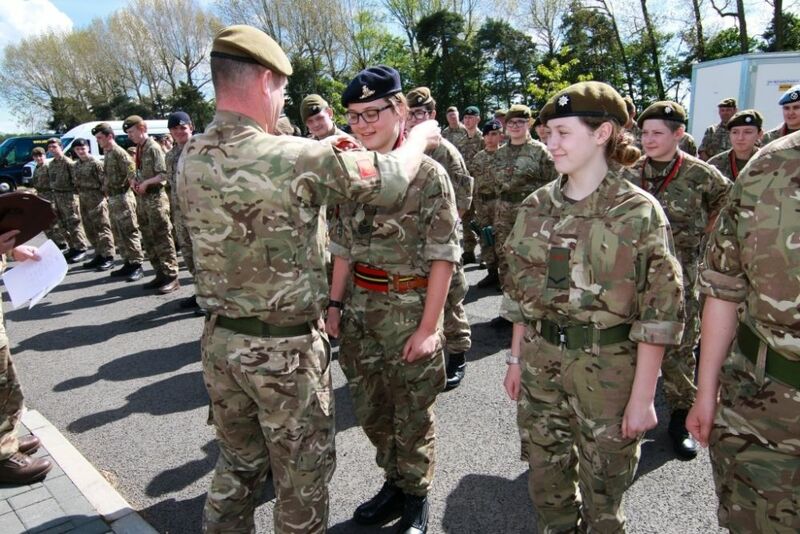 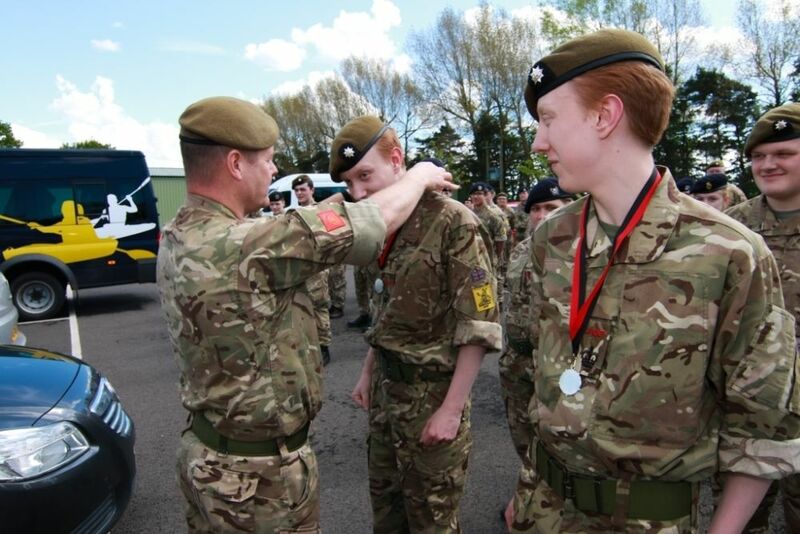 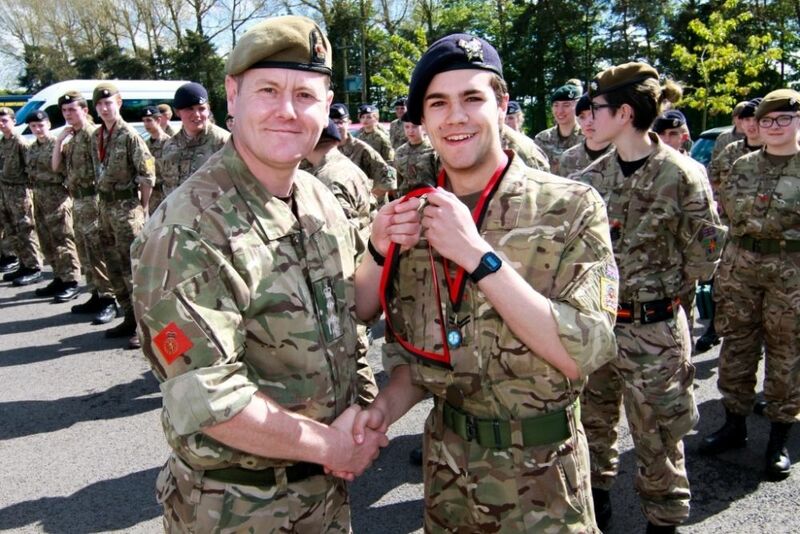 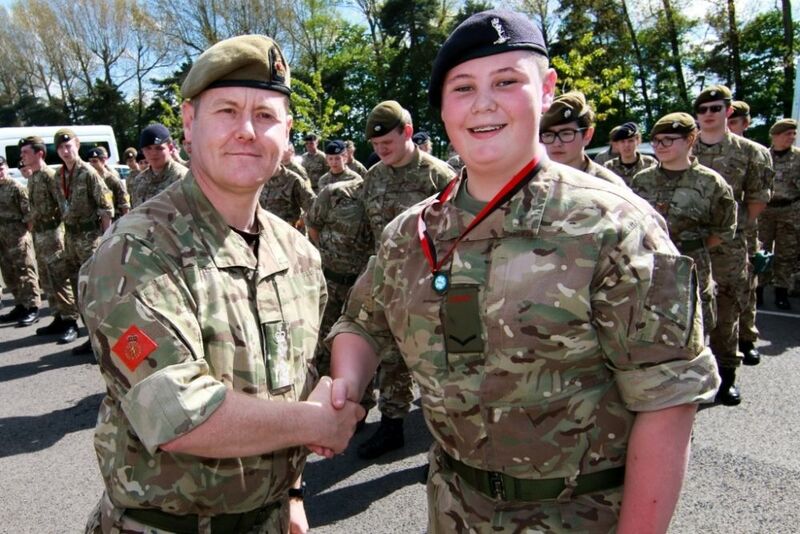 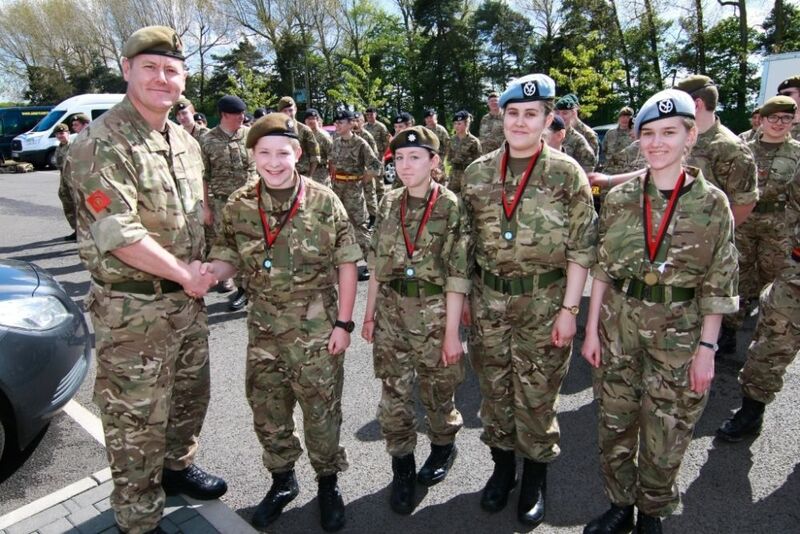 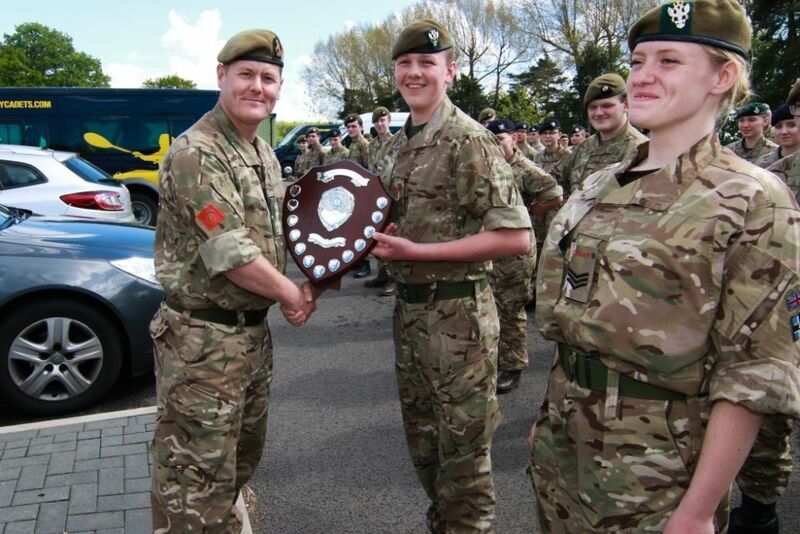 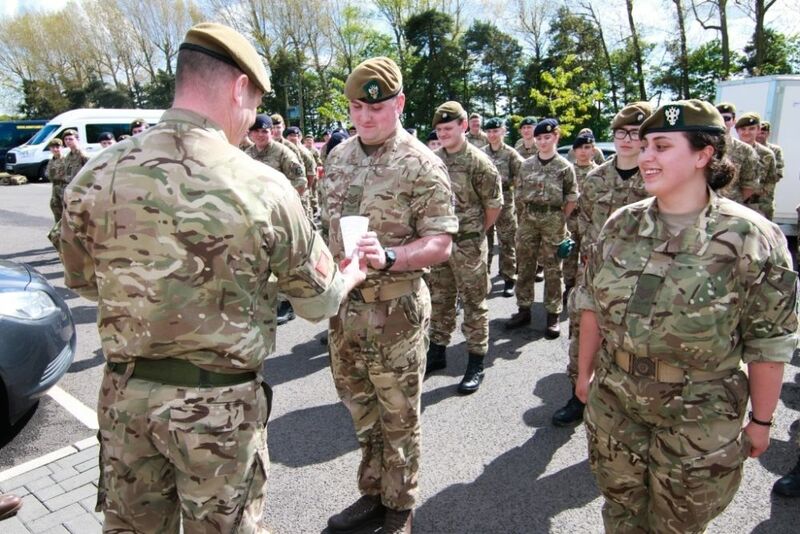 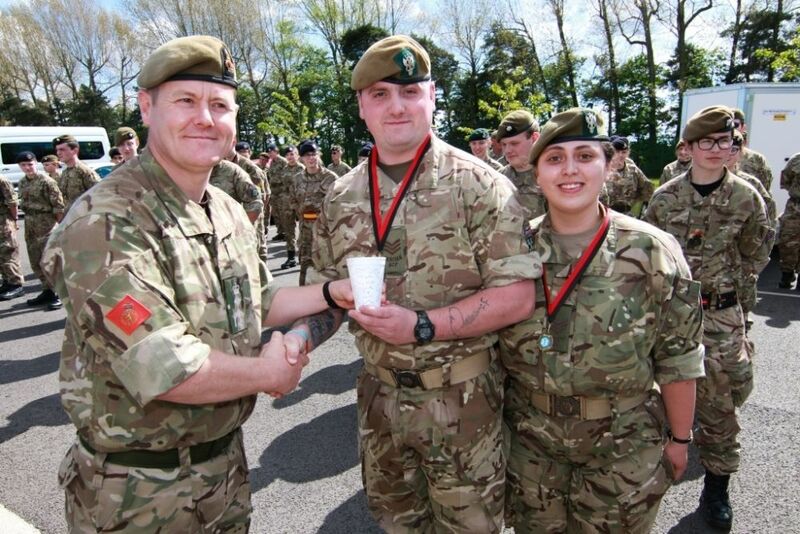 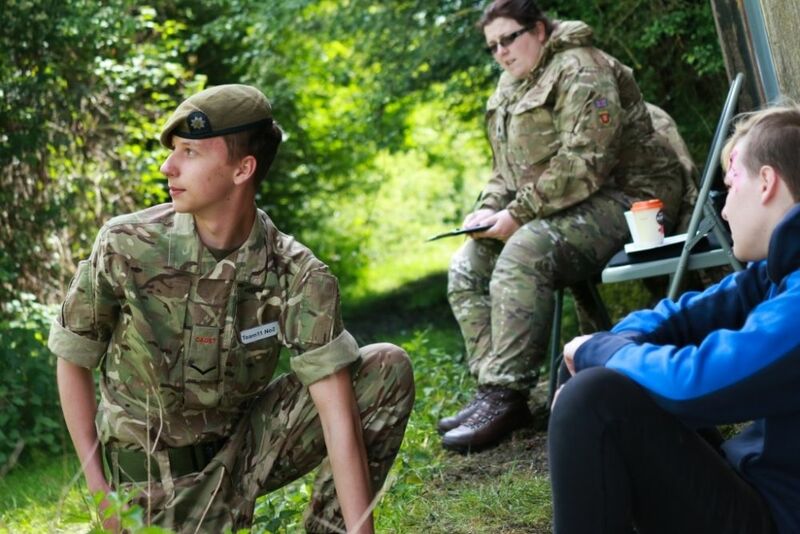 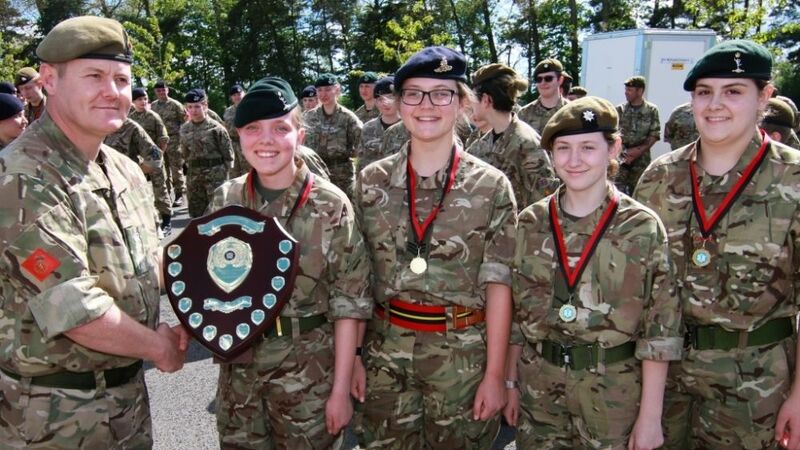 Essex ACF took the crown as this year's 7th Infantry Brigade First Aid Champions with Derbyshire ACF coming second and Bedfordshire and Hertfordshire ACF third) and Derbyshire ACF won the Young Adult competition. 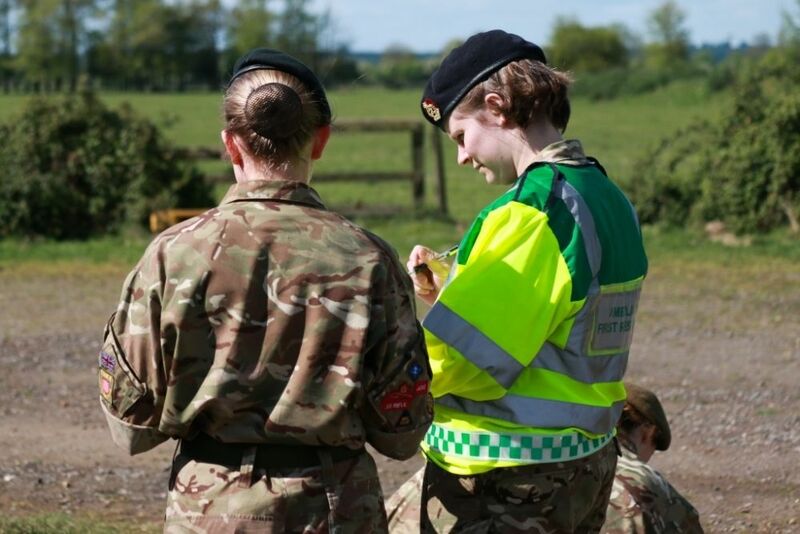 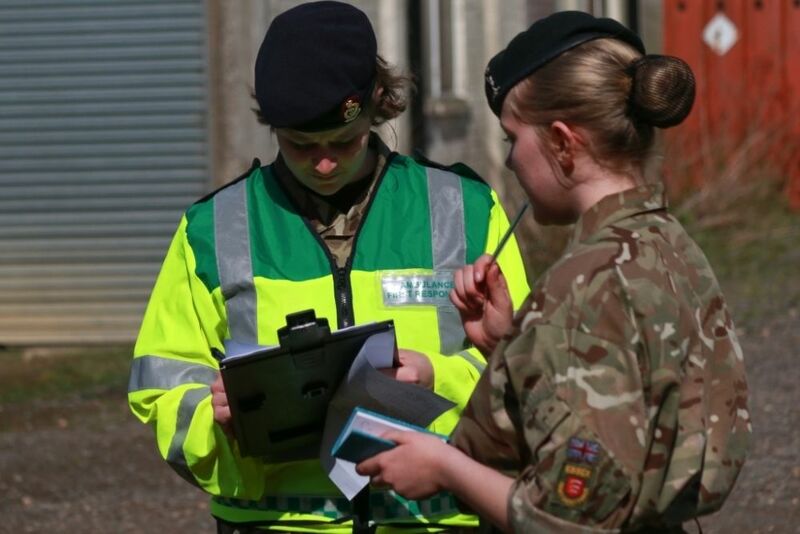 Essex and Derbyshire ACF will now go forward to compete against cadet and young adult teams from across the UK and Northern Ireland in the National Army Cadet Force First Aid Championship on 7 October 2017. 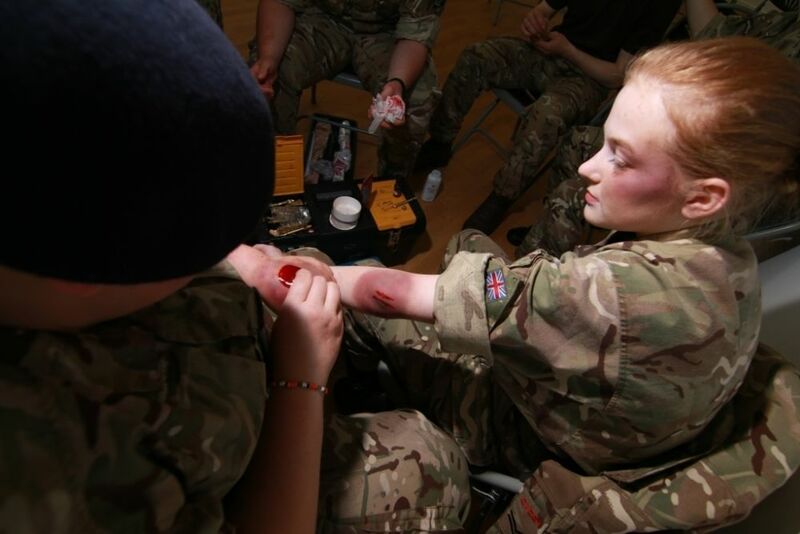 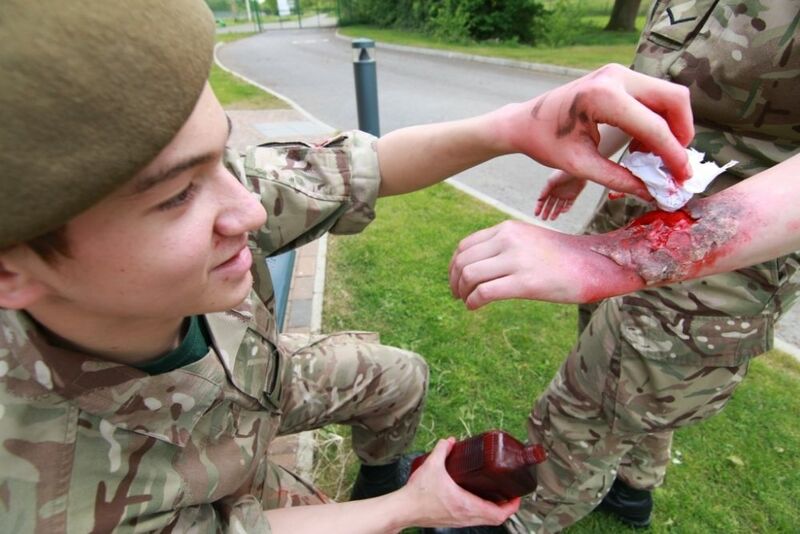 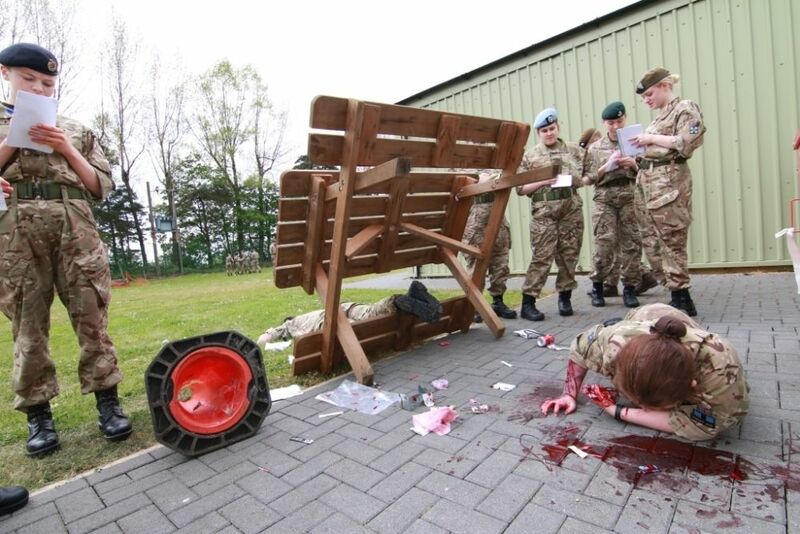 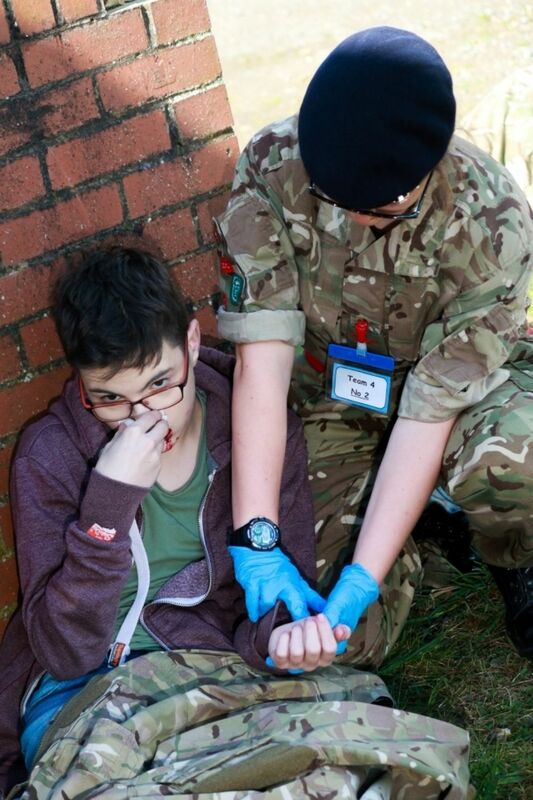 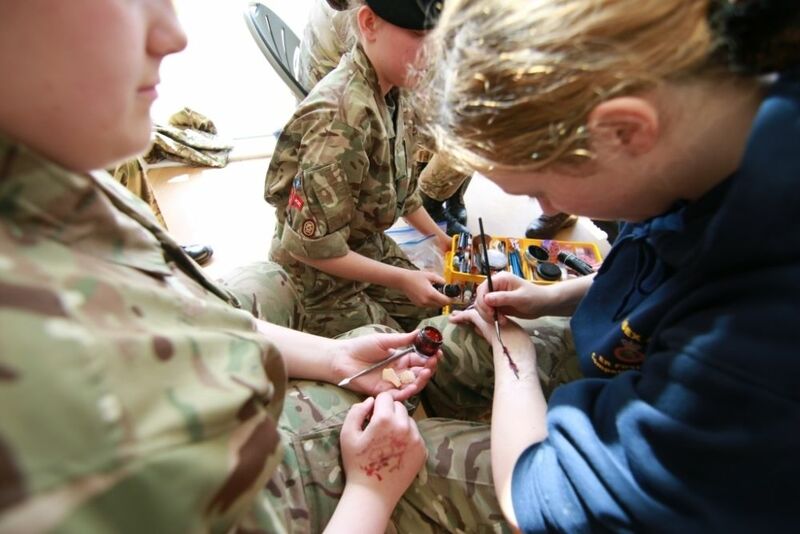 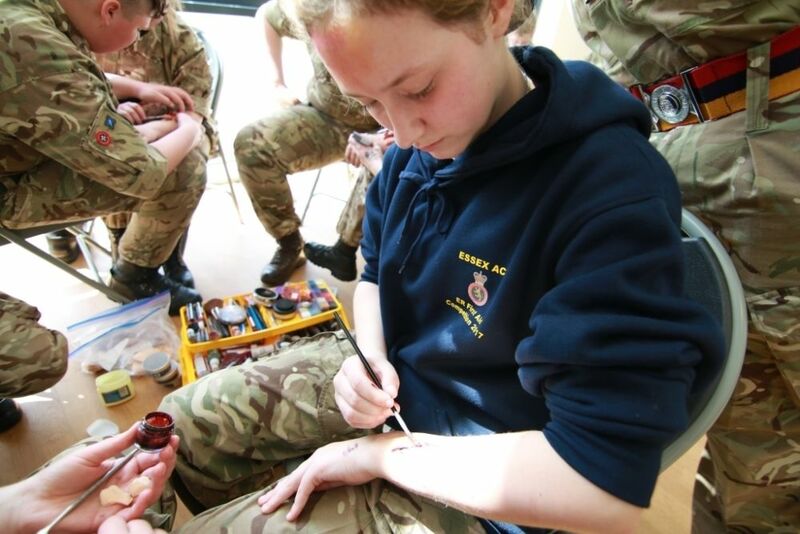 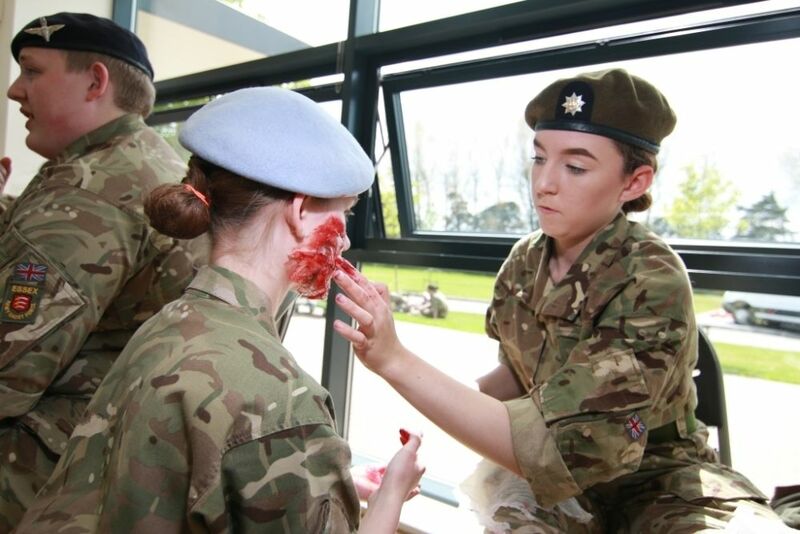 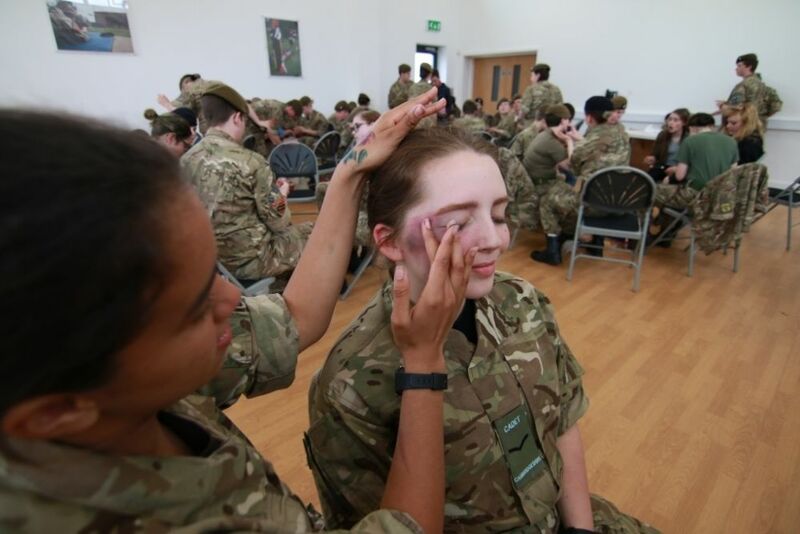 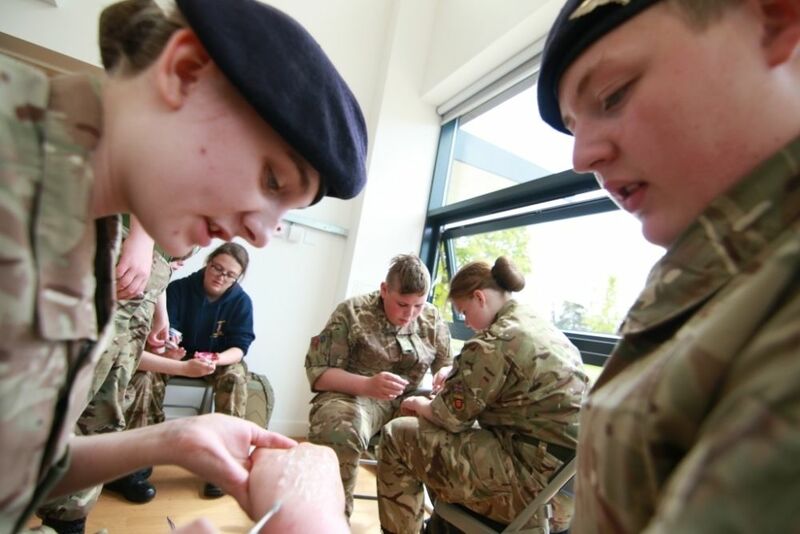 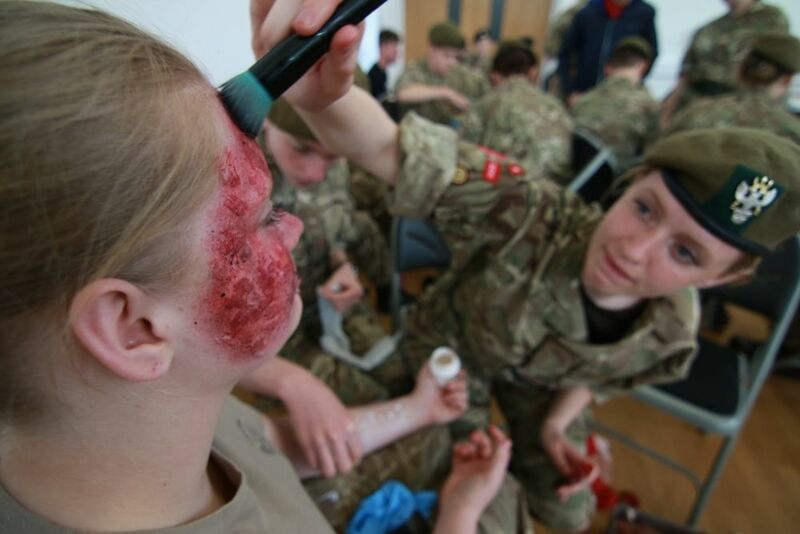 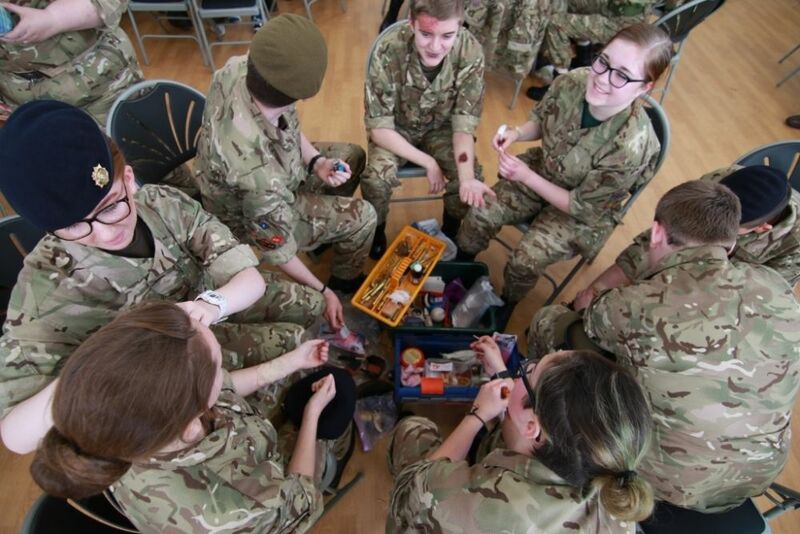 During the event, cadets and volunteer casualties also had the opportunity to put their knowledge and imagination to the test in the Captain Rolly Uppiah Casualty Simulation Memorial Trophy; a competition where the cadets are challenged with making up a realistic scenario and creating the special effects makeup to match. 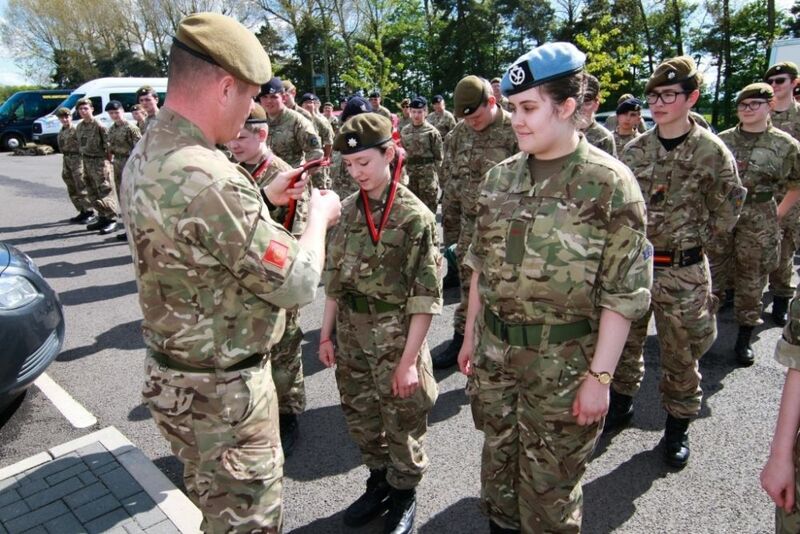 The competition then being judged by the cadets themselves.